The drive to the hotel was a bit eerie, passing the Gaddafi compound, completely bulldozed and now kept as a tourist attraction. It's a sea of broken objects, torn clothes left behind, all signs of violent scenes – and yet only the tip of the iceberg of people's memory of those terrible war days. We knew that the British Council was taking our safety really seriously, but we had not realised that we would not be allowed to move beyond the hotel and the office. With a lot of organising and pleading, we eventually managed to get ourselves chauffered to a fish restaurant. The Libyans go on and on about their fish. And it is a must, utterly delicious! On our last day we were permitted to take a short stroll into the Medina escorted by our driver-turned-bodyguard, then turned-translator. Maybe they were being overly protective, but at night we did hear a lot of gunfire... It appears that Gaddafi had released all prisoners doing time for drugs and other crimes, and he equipped them with guns to defend his cause. These guys are still roaming the streets, armed to their teeth, provoking with violence. Several times in the late afternoons, our driver had to do huge detours in order to avoid such scenarios. We had 13 participants, only one of them a woman. To our surprise, most of them were fairly fluent in English and from a mixed British background. 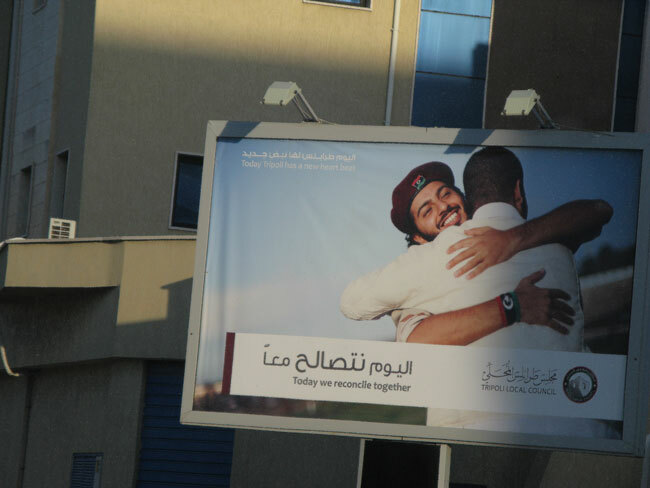 It seems that the revolution had attracted all those young men who returned to their families in Libya, wanting to contribute to this society in flux. I was hoping they would bring the same fighting spirit to the workshop. We had a lot to deliver in seven days, and for security reasons, we could only start at 8.30am and had to finish at 5pm. But even within those short days (by British filmmaking standards), some of them soon ran out of stamina. We split the cohort into three production groups. They all pitched an idea and we then selected three of them that had the most potential for telling a story of Tripoli and reflecting the change of identity in this turbulent city. The first one was linked to a fisherman but it soon had to be abandoned because our participants felt too cold filming by the sea... The sea was rough, so perfect weather to capture fishermen telling their stories. On their return, I had to laugh at these boys who managed to fight war through all weathers but returned blue-faced and shivering from their recce, begging to swap their topic for an indoor one! Their wish was not fulfilled – but the weather dramatically improved. So they decided to develop a story around a graffiti artist. 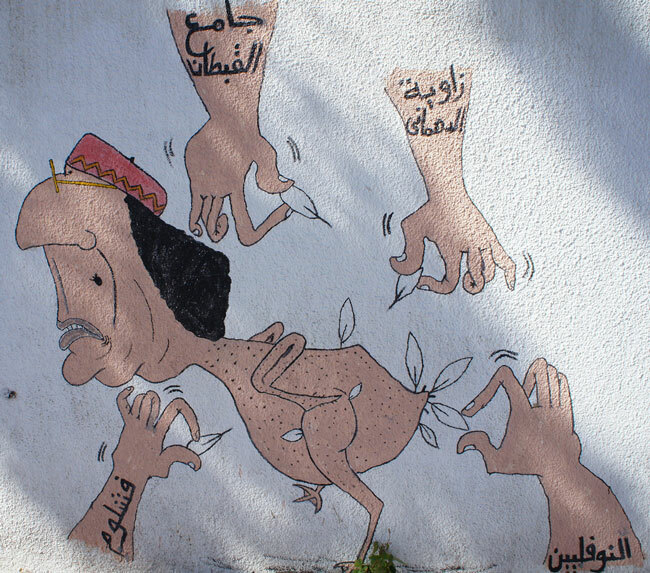 Most walls in Tripoli are covered in slogans and drawings. Most are pretty basic, with some writing and the new (old) Libyan flag (used pre-Gaddafi and post). Others are amazingly skilful potical caricatures. Under Gaddafi and during the revolution, if you were caught spraying graffiti, you would be shot. You had to be skilled, fast, and fit. Our main character in this film shares what it felt like. 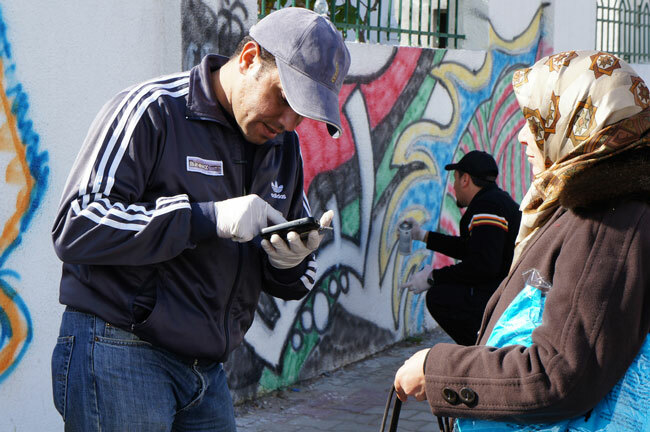 He hopes to move from graffiti to a more permanent artistic form of expression. The next film on the list is about the National Museum in Tripoli, overlooking what used to be known as Green Square (green being Gaddafi's colour) and is now known as Martyrs' Square. The story explores how the museum survived the revolution without being looted or destroyed. The group found a lovely character, an old gentleman in charge of storage, self-taught in history and archaeology, with uncompromising passion. One of his sons was killed during the revolution. He was not able to protect his son, but did everything he could to hide all the museum treasures from those bullets. The film is a quiet moment in the museum, the story of how stored history encountered history in the making. Editing was quite a challenge at this workshop. 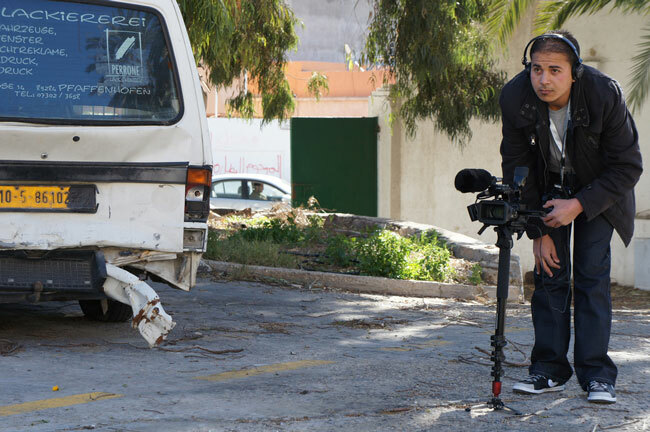 Libya still being in disarray, we had to bring equipment and laptops with us. 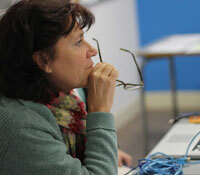 We had an extra member on the team, Anne Milne, just to train three of our participants in editing. The pressure to deliver the course and make good films turned the editing process into a race against time. Anne had to be extremely patient, with the added difficulty of working with translations. And we had to vacate British Council building by 5pm on the 7th day... This amost felt like God having to create the world in seven days! Well, we did not fully live up to that challenge. We would still need to tweak the sound mix and colour correction – but the core films were safely tucked in our hand luggage. I'm writing this as we're flying over the beautiful Alps powdered with snow, the beauty of the landscape slowly releasing the tension of the past week. Every night, we had returned to our luxurious hotel, trying to sleep to the sound of bullets. 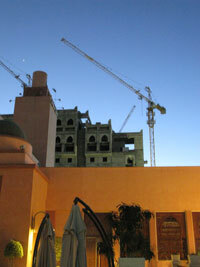 Fortunately, our rooms had no window overlooking the sprawling of Tripoli by the sea. For once, it was better to imagine than to see... In a few days, it will all seem like a dream. But we have met too many beautiful people to forget it. Pictures taken by participants in the workshop and Flore Cosquer. 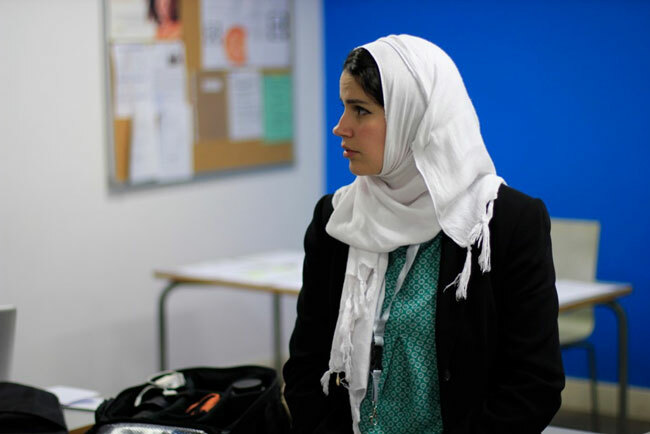 thanks and Hi @ Sarah – definitely see you in Hotdocs! Great adventure Noe! Wow! Sarah here from Toronto, glad you are all safe! I teach workshops here in Toronto on Cinematography, I also know how to edit – so please feel free to ask for any support from me on your education front – would love to get involved!